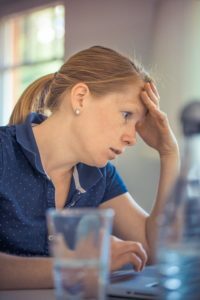 Do you sometimes find your students aren’t motivated? It’s a big problem because students learn more when they’re fired up. And they remember (and like) teachers who give them fun classes while helping them learn quickly and easily at the same time. But let’s face it, planning dynamic and fun English language classes every week can take a long time. 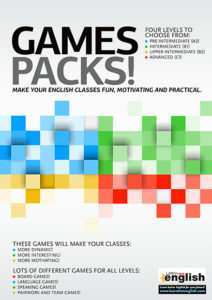 Learn Hot English Games Pack! 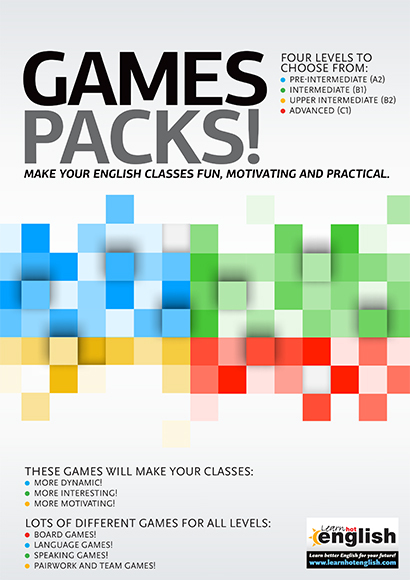 We created the Learn Hot English Games Pack to make classes fun, motivating and practical! 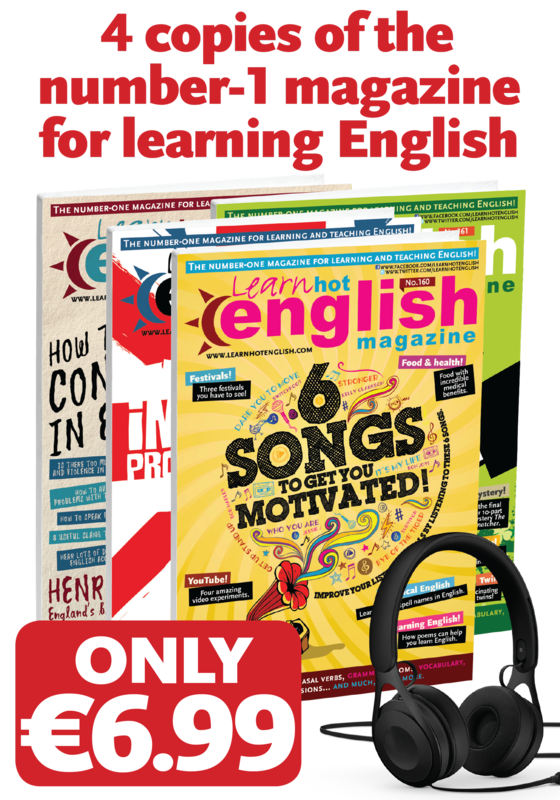 The Learn Hot English Games Pack will help English teachers in middle school and high schools, as well as teachers in academies, company classes and universities. 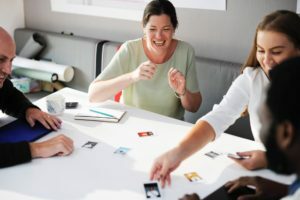 If you’re looking for warmers, games and fun activities for beginners, business or even advanced classes, our Games Pack will ensure your classes are successful. 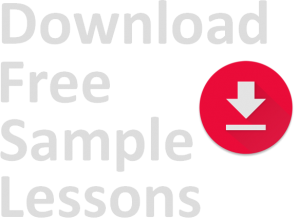 With over 130 pages, there are photocopiable worksheets to use in class, as well as Teacher’s Notes so you know exactly what to do. 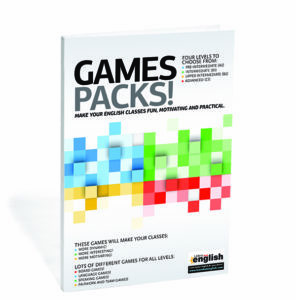 The Games Pack is full of board games, roleplays, memory games, matching activities and storytelling exercises! 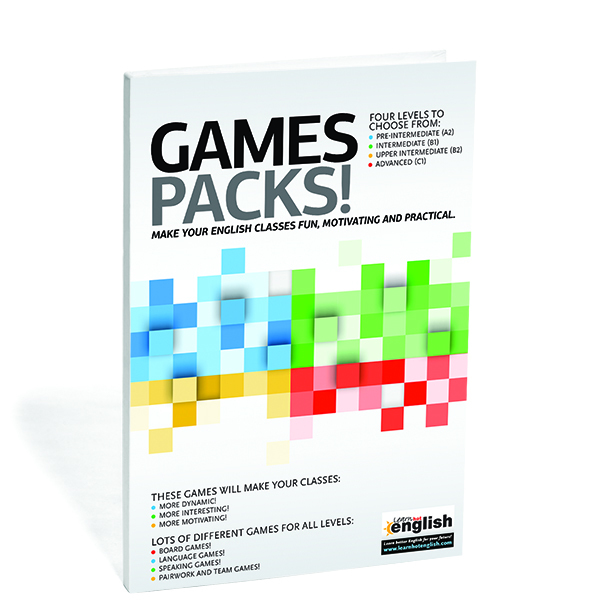 If you have the feeling that your classes could do with a little more FUN, then the Games Pack is just what you’re looking for. Practice speaking with “travel” vocabulary. Practice using prepositions of time. Learn useful words and expressions that are related to activities. Practice speaking in the past continuous tense. Practice speaking with “house/home” vocabulary. Practice speaking using “food” vocabulary. 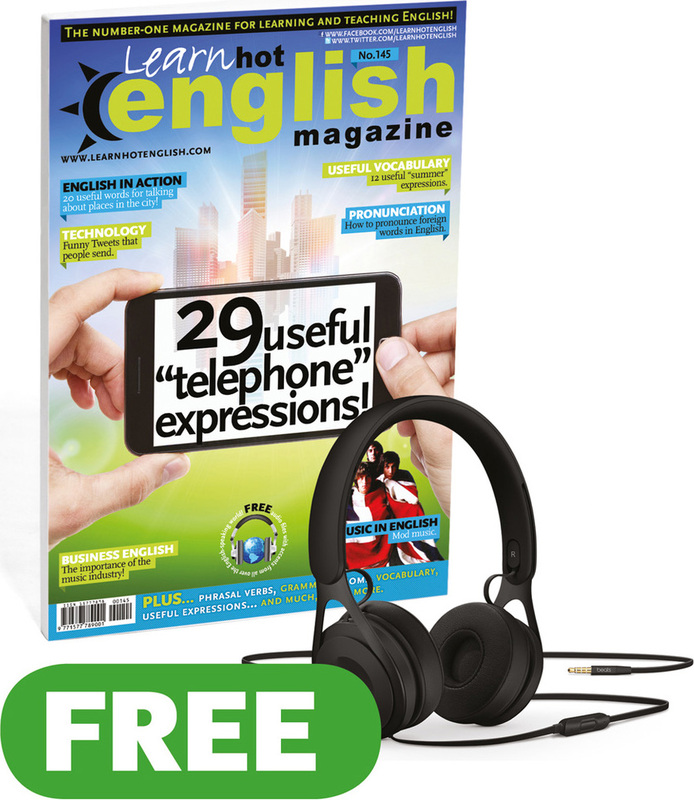 Practice speaking using the present simple passive tense. Practice speaking using modal verbs. Practice speaking using fashion and clothing vocabulary. 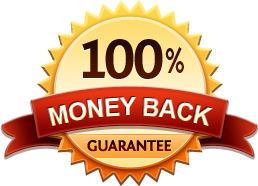 Practice speaking using the present perfect simple and continuous tenses. Practice speaking using zero and first conditionals. Practice speaking using disaster vocabulary and perfect modal verbs. 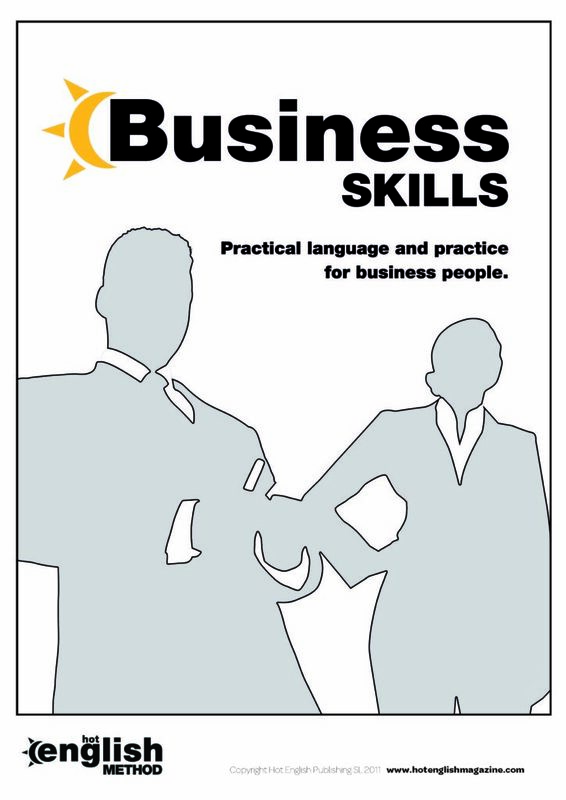 Practice asking and responding to interview questions. 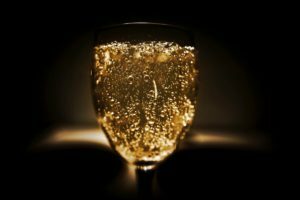 Practice speaking using phrasal verb particles. 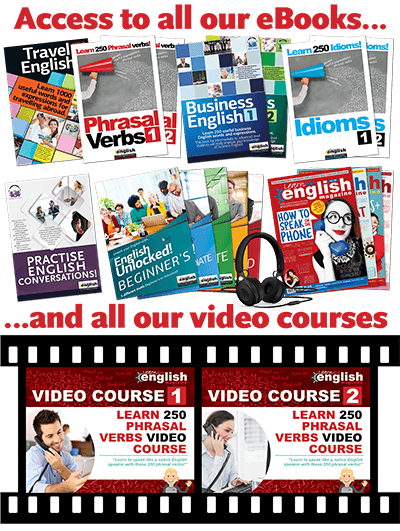 Practice speaking using phrasal verbs. Practice speaking using expressions with “get”. Practice speaking and error spotting using prefixes and suffixes. Practice speaking using the third conditional. Practice speaking about the environment, using compound nouns. Who is the Games pack for? 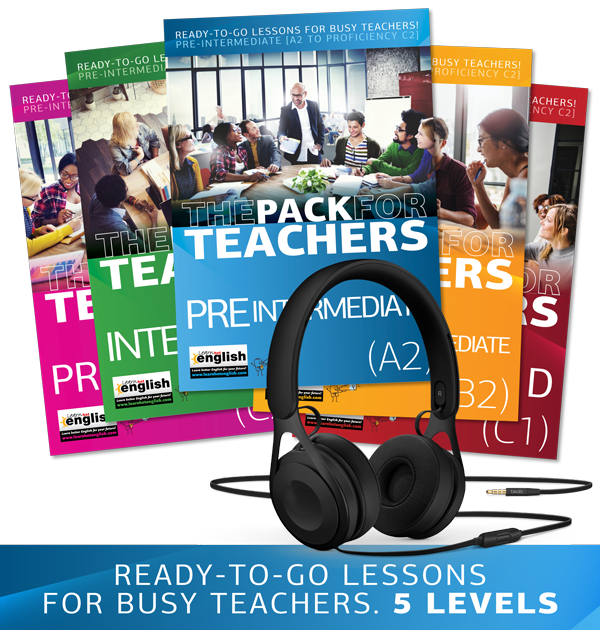 Its for busy English teachers who want to make their lives easier by being able to use lots of fun activities, pre-prepared, sorted by level, in their English classes.